Vegalfaro Vineyards and Winery is also a place to experience the wine. We propose different activities at the winery upon appointment. You can access our contact data by clicking here. A visit with professional explanation regarding the journey from the vineyards to the reception of the grapes, to the aging in French oak barrels and terracotta amphorae, through to the bottling of the wines and cavas. 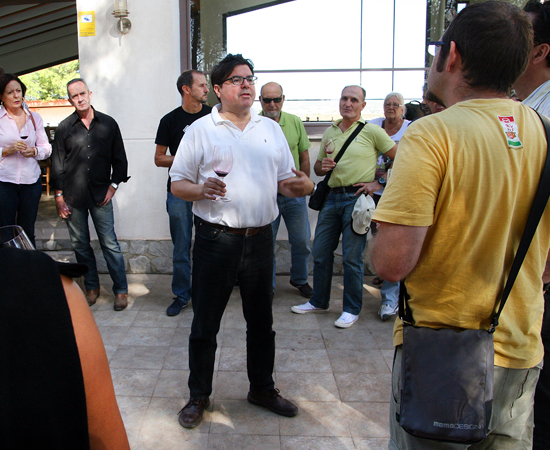 It includes the tasting (cata) of 3 wines and the typical bollo (bun) de Requena, all for only 10 euros per person. If all you wanted was to spend the day amongst vineyards we organize brunches and lunches at the winery for groups from 10 people at least. Includes a tour of the winery with a typical Requena brunch consisting of the traditional ‘bollo‘ (bun), accompanied by other typical products of the local gastronomy, such as ajoarriero, salchichón, coca de verduras, etc. After the visit to the vineyards and winemaking facilities a meal with a typical Requenean menu will be served, with dishes like Morteruelo or Ajoarriero, accompanied by our wines. 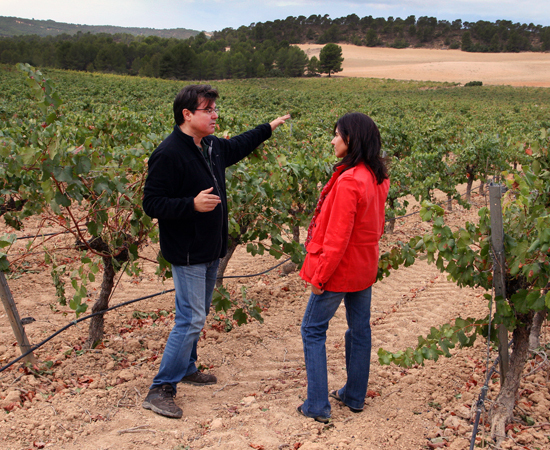 A 4×4 tour to the Pago de los Balagueses vineyard located near the archaeological site of the Solana de Las Pilillas. 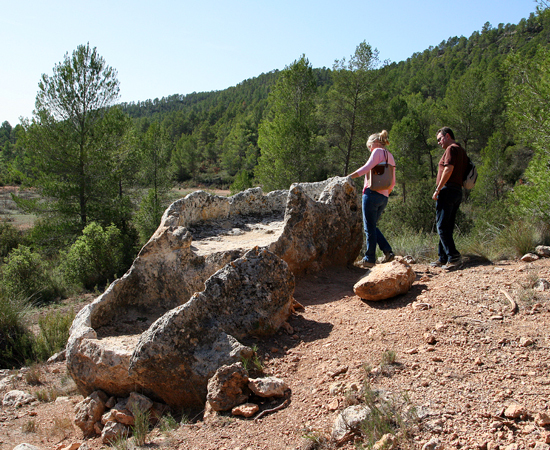 At Las Pilillas we will see twelve primitive presses carved into the rocks, where the Iberians elaborated large quantities of wine during the seventh century B.C. The dating of these structures and findings of amphorae in the region allows us to confirm that these facilities, with almost 3.000 years of age, are the oldest production centres in Western Europe wine-making. For groups up to 12 people, consult details at the winery. 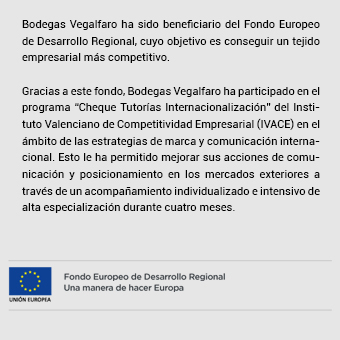 We organize all kinds of events like tasting courses (catas), technical seminars or business activities, offering customers several spaces set inside the winery or in our pine-garden outdoors. If you wish, you can complete your visit with a typical meal in one of the restaurants that we recommend in the area nearby. In the town of Requena you can also visit the Caves of la Villa, the Wine Museum and the Silk Museum. Consult opening hours.